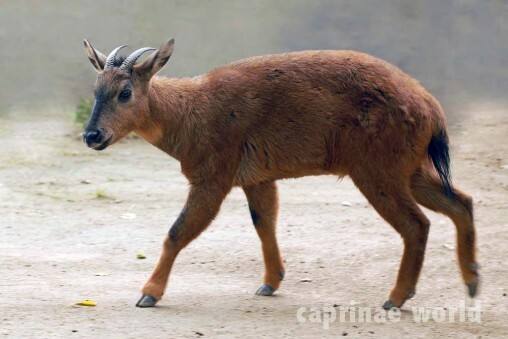 Gorals are small caprinae species with a goat- or antelope-like appearance. 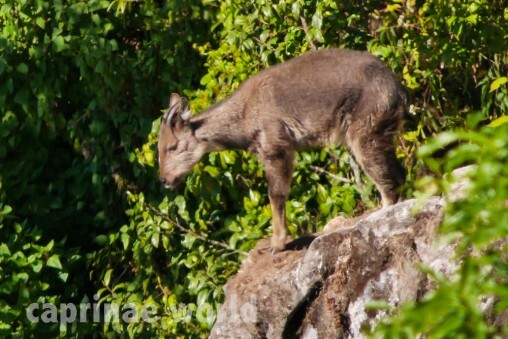 There are six species, occurring in South Asia and Far East. 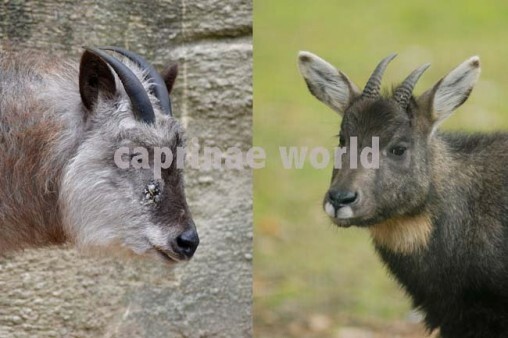 The horns of goral males and females are in general very similar. 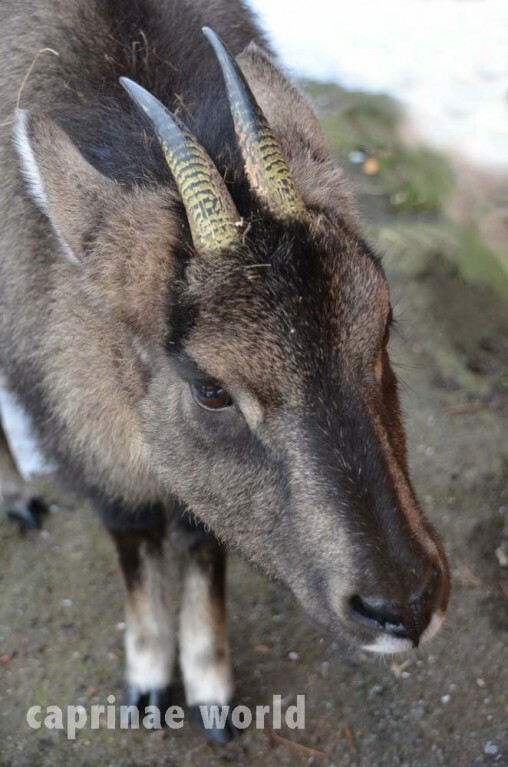 But there are ways to tell both sexes by their horns apart. 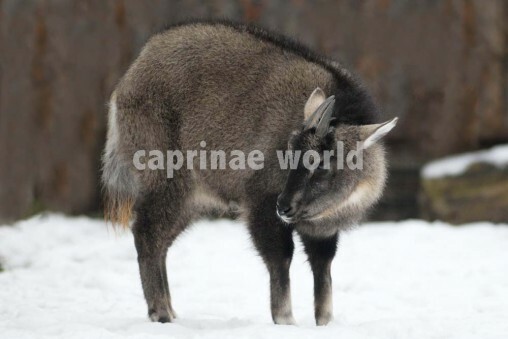 The Long-tailed Goral is the most northerly occuring goral, it is characterized by its long hair, especially on the tail. 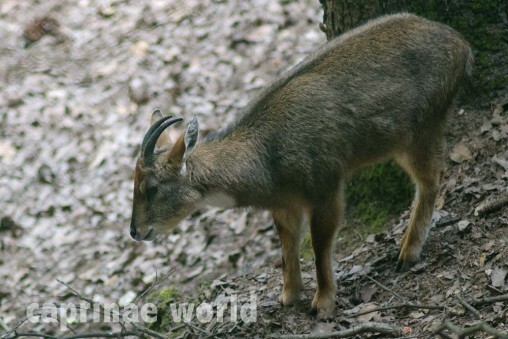 You could call the Chinese Goral an Oxymoron: Of all the goral species it has the widest distribution, but yet its range is restricted to just one country. 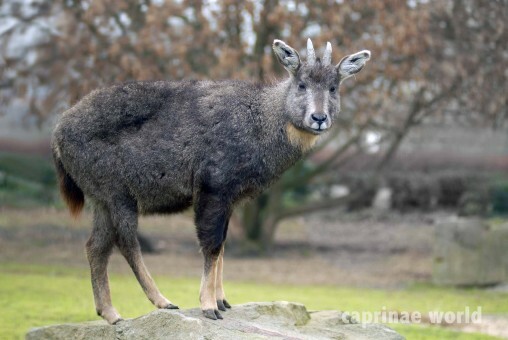 The Burmese Goral is maybe the most inconspicious species of the gorals. 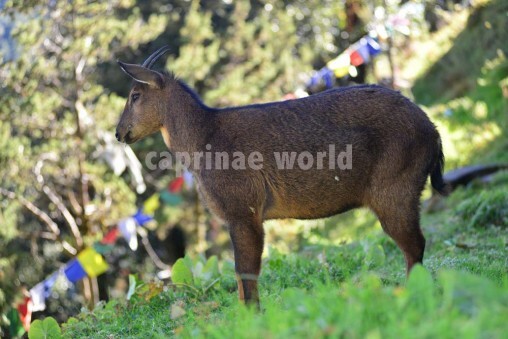 It appears smallest in size, with a less contrasting pelage. 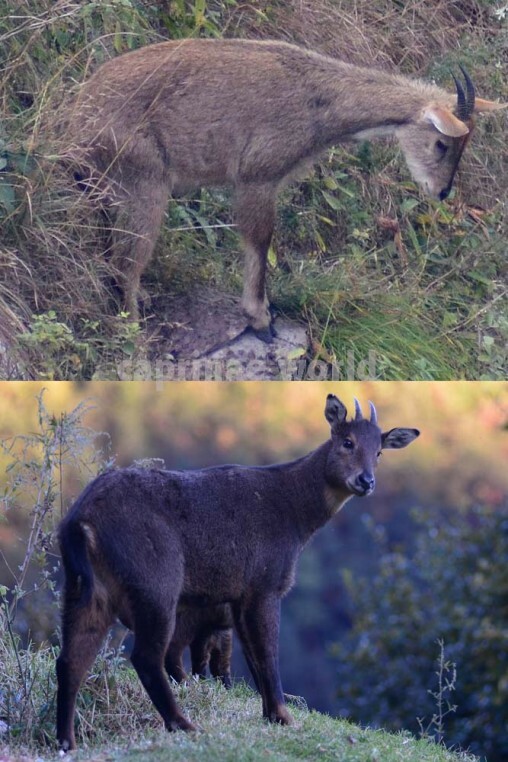 The Himalayan Gray Goral is the lighter grayish variety of the two phenotypes which are classed with the Himalayan Goral. 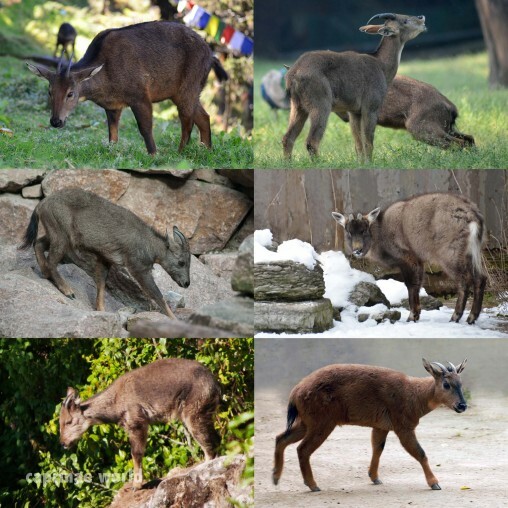 The Red Goral is more an alpine species than other gorals. It generally occurs at higher elevations, it is small in size and has different eating habits.